Vishu is approaching fast and I am not sure whether we will be able to cover all the dishes needed for sadhya before it due to lack of time. But we will try to give you some of the best side dishes for Kerala sadhya before Vishu. Pachadi is our third dish for your Vishu Sadhya. Kerala pachadi is a famous south Indian side dish served even on international platters. To ¼th liter of water add one quarter of a grated coconut, mash them well together and squeeze out the coconut milk. Mix the mustard seeds, green chillies and grated coconut (from one half of a coconut) together and grind it well into a paste. 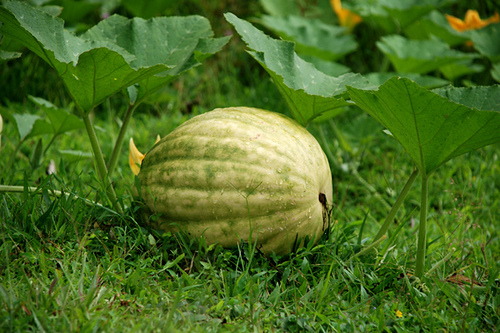 Cut the ripe pumpkin into small cubical pieces, wash it and keep them aside. Slice the tomatoes, banana and the pineapple into small pieces and add one litre of water, chilli powder, turmeric powder, salt and curry leaves to this and cook till done. Add the jaggery when it is cooked well, and continue to heat until it is dry. Add the earlier prepared coconut milk, the coconut-chilli paste (#2) and curd and allow it to boil. Remove from the flame when it boils and add the raisins. Heat the coconut oil in a pan together with the mustard seeds. When the mustard seeds starts crackling add the dry red chillies and the curry leaves. Fry for a short while and pour it to the curry. 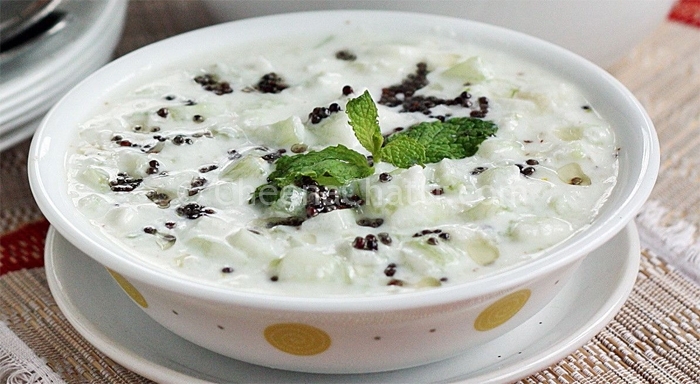 Do you need more pachadi recipes? This entry was added on April 12th, 2013 by Renoos in Condiments and tagged with pachadi, sadhya, pumpkin pachadi, pineapple pachadi, pachadi recipes, kerala feast, how to make pachadi, kerala sadhya. Last revised on March 30th, 2018. Recipe & Recipe photo contributed by Seethalakshmi N.
I know pumpkin is the British English word for any type of squash. What kind is used here or what types would you recommend? @Rhonda Wright : Greetings and thank you for stopping by and trying our pachadi recipe. Sorry, I am not familiar with all the types of squashes. 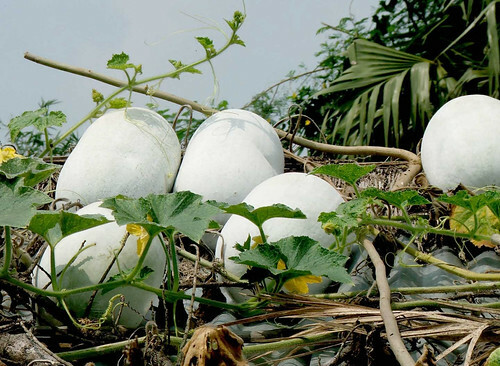 The one we used for preparing the pachadi in the photo is Ash gourd and this is the photograph of pumpkin we use as an alternative.